President Micheal Sata says the PF government acknowledges with humility, the resounding acceptance it has received from the people of Feira following its victory in the just ended parliamentary by – election. 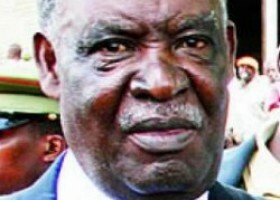 “We would like to assure the people of Feira and Zambia in general that our administration will now intensify its sustained efforts to take development countrywide and ensure that all growth projects are implemented with immediacy,” President Sata said. The Head of State has further said the ruling party is gaining ground in areas that were previously dominated by the opposition. “Indeed, the PF has continued gaining incredible ground in Southern, Eastern and Central Provinces. The latest wins in areas like Kazungula and Vubwi, which were previously dominated by the opposition underscores our party’s growing popularity across the country,” President Sata said.